← Benedict Cumberbatch Marvel’s Next Superhero! The Duke and Duchess of Cambridge have released three official Christmas photographs of adorable Prince George. 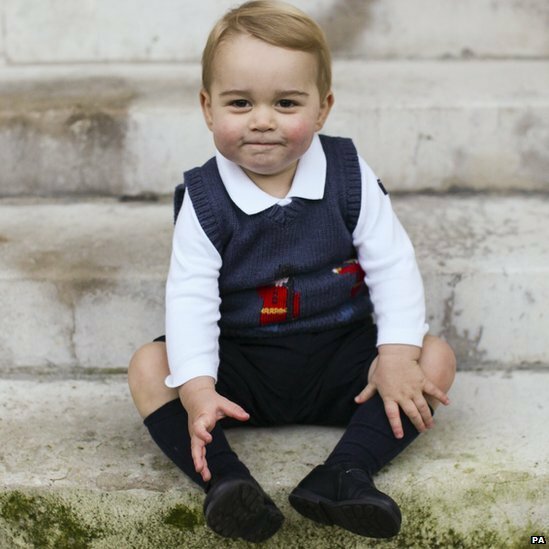 Taken in the courtyard at Kensington Palace the third-in-line to the throne shows off his toy soldier knit vest. 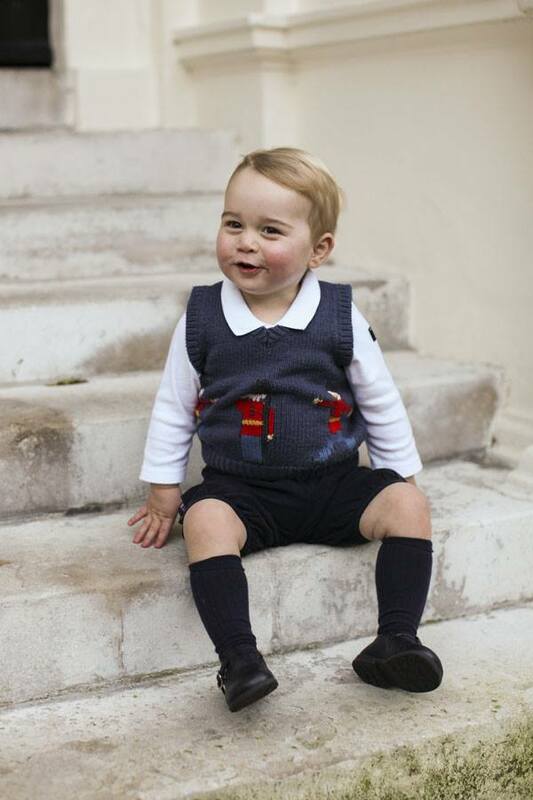 17-month old Prince George all ready for the holidays! The photos of Prince George were taken by Prince Harry‘s private secretary Ed Lane Fox, who has also worked as a freelance photographer. BBC royal correspondent, Peter Hunt says that Prince William and his wife Catherine are releasing the images as a thank you to the media, who have not published any of the paparazzi pictures that have been taken of the prince. They’re grateful that their request has been honored to have their son grow up without media intrusion. The royal couple are expecting Prince George’s sibling. The announcement was made in September and the Duchess of Cambridge is expected to give birth in April. We wish the Cambridge family a very Merry Christmas! 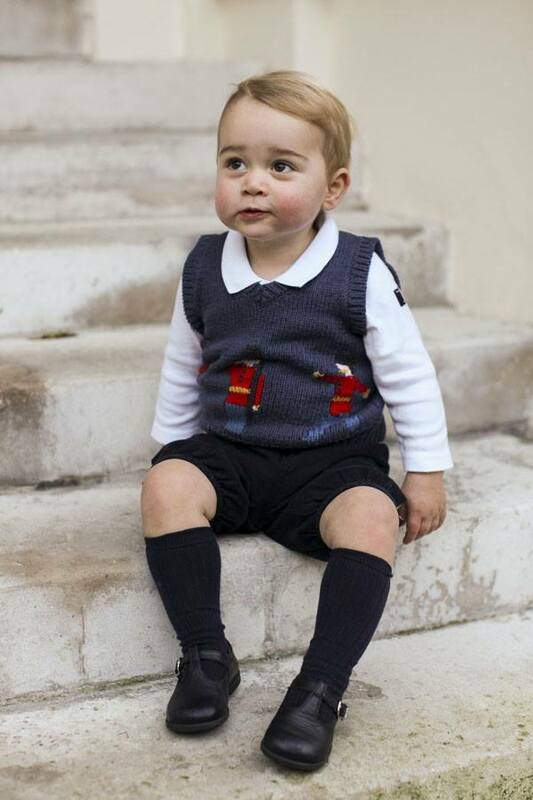 Lady Anglophile….wondering what to buy for Prince George for Christmas. This entry was posted in Rule Britannia! and tagged Catherine The Duchess of Cambridge, Prince George, Prince William. Bookmark the permalink.